Earlier this year I joined the wonderful group, Mystery People, run by the equally wonderful Elizabeth Sirett. Lizzie was really kind to me when I first started out, reviewing my first books and being so encouraging and supportive. My joining Mystery People had been delayed for far too long! but I’ve done it now and find I’m in very good company. Mystery People put out a monthly newsletter, full of reviews, interviews and information for Crime fans. Lizzie and her team have been kind enough to review my backlist over the past few months and I am so very grateful for the thoughtful and positive comments. Reviewing is a real art and Mystery People have that art down pat – as my mother used to say….never been quite sure what it meant, but it was good! So, if you are a fan of crime and mystery novels, enjoy good company and informed commentary, go and take a look at the Mystery People website. And thank you again to Lizzie and her team. I’m currently rereading The Nine tailors by Dorothy L Sayers. I say ‘re-reading’ but it’s so long since the first time that I couldn’t really remember much of the plot apart from him crashing the car into a ditch and that complex notes on bell ringing were involved. It’s odd that I’ve not come back to it sooner because in many ways this book was pivotal in my eventually becoming a writer; it was certainly pivotal in expanding my reading. Years and years ago, when I was still in my early teens, Ian Carmichael played Lord Peter Wimsey in various TV series. At the end of The Nine Tailors, when the credits rolled, I discovered that this was based on an actual book! Imagine! – yes, I could be a bit slow, sometimes. Our local library was in a ‘temporary building’ that had been put up when the housing estate was built in about 1947 and was presided over by a rather fearsome lady librarian. I, along with my next door neighbour’s children, had been a frequent visitor since primary school. We were trusted to get our own books, my dad’s thrillers, and their mother’s romances – also their Nan’s selection; she’d read just about anything. We usually went up to the library with Nan’s tartan shopping trolley and took turns to haul the obstreperous, wobbly wheeled creature back and forth. So, on our next visit, I asked the librarian about Sir Peter Wimsey and she pointed an imperious finger towards a shelf of yellow books in the far corner of the library. Sayers, at that time, was published by Gollancz in their then famous yellow jackets and I’ve got to say, these yellow books were a revelation. British and American detective stories, SF, de Maupassant…Du Maurier…it was an endless, canary coloured feast and, frankly, I didn’t pay too much attention to what I borrowed, week on week. If it was yellow, it was likely to be good. It’s strange coming back to the Nine Tailors after all this time. I’d forgotten how intricately woven it was – plot and character and landscape and bells. How wonderfully well Dorothy L Sayers had realised the fenland landscape or how much that had probably influenced the choice of location for my first novel, The Greenway, set in the flat lands of Norfolk, against those vast skies. My only regret is that I’m not reading the book as a yellow jacketed hardback but as an e-book. But the words are the same and the memories it brings back of my fourteen year old self, off on another library adventure are very precious indeed. For quite some time now I have wanted to write a series of books set between the two world wars. 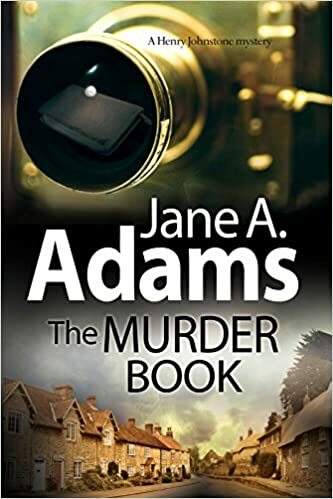 This is era and considered by most to be the golden age of crime fiction and so setting something in that period always felt a little daunting – a bit like fishing in Agatha Christie’s pond. It’s also a time when the lot was happening and so it is a fascinating era. It was a time of great social change and upheaval and, as far as investigations were concerned, forensic science was beginning to move forward and become established in the public consciousness and the police force itself was undergoing many changes mostly to do with education and the professionalization of training. Many of the familiar tropes of crime fiction were also established during this period. The inspector and his sergeant bag man, quite literally carrying the murder bag for example. This reflected the mentoring practices of the Metropolitan police at the time. 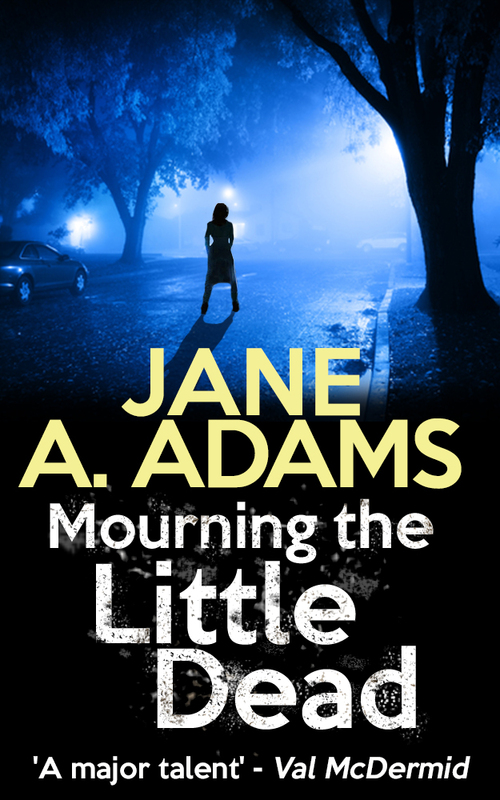 Despite it being a practice which has long been discontinued, it is still very appealing to crime novelists and the reading and viewing public alike. Henry Johnston is a detective chief inspector and together with his sergeant, Mickey Hitchens, makes a first appearance in The Murder Book. From the early years of the 20th century it had been an established right for any police force in the country to be able to send for a murder detective from London to assist with serious crime in the area, the logic being that there were simply more detectives in London and what training there was tended to be focused there too. This meant that a skilled resource could be sent literally anywhere in the country, a mobile cohort that in different guises has formed the model for taskforces and serious crimes units right up to the present day. In the first outing for this pair, The Murder Book, set in the summer of 1928, Henry Johnston and Mickey Hitchens are sent to Lincolnshire to investigate a triple murder. Much of the action takes place in the lovely market town of Louth and some of it in what was my father’s village of Thoresway. It’s funny how childhood memories infiltrate and childhood places drag you back and I spent a lot of my childhood in Lincolnshire, though the family no longer lived there having moved south after the Second World War. The strange thing was, though my parents had moved less than a hundred miles, they always felt as though they had been exiled and so we made frequent trips back. Inspector Johnstone was a slender man with a head of unruly curls; one small element of unrestraint that sat at odds with the rest of him, Helen thought. His eyes were grey and stern and hard as river pebbles and the set of his mouth, half hidden beneath the fox brown moustache was straight and tight and uncompromising. Helen’s heart sank. This was not a man who would allow Ethan any quarter. This was a man of the law; a man, she thought, who would have taken Hansen’s side even if matters had been reversed and it was Ethan lying cold. Even though he was not a physically heavy man, Johnstone dominated her parent’s small front parlour, his assurance and authority somehow making him seem broader and taller than he really was. Despite the warmth of the evening, he wore a black coat, long and plain and tight across his back. I will be writing more about Thoresway village and the inspiration behind the book in later blogs. It’s a location I’ve used before, in my third novel, Bird, and have also returned to in an as yet unfinished novella called The Italian Boy. It is a place that remains very close to my heart. I had a new book out at the end of November but other things intervened and I didn’t really get a chance to celebrate it, or to blog about it so I’m catching up now. The book is called A Murderous Mind and is in the Naomi Blake series and it’s likely to be the last Naomi that I write for a little while though more on that in a moment. I think that most people recognise that in our dangerous or emotionally charged or frightening situation we might resort to violence. That most of us could be pushed over our normal boundaries and in fear, or defence or simple desperation might do things that otherwise would be unnatural for us. More frightening than that is the person who kills without excuse, who does what he does – or what she does – just because they can. Just because they happen to be in the mood for committing a murder. What if the rest of the time they were perfectly solid reliable citizens? Invisible because of their sheer visibility, because they are in a position of power, a position of strength and authority and a position of trust. Of course we’re familiar with individuals like Harold Shipman, the number of whose victims is still questioned but in cases like that we can begin to see connections. His victims were known to him. Eventually someone was going to make the leap and recognise what he was doing. But what if there are no connections, no logical steps by which victims can be linked to their killer. What is there seems to be no link between the killer and the victims or between victims? In fact what if, for a very long time, it isn’t even realised that they have been killed by the same person? In real life and in crime fiction we’re used to talking about a modus operandi, we are used to talking about a killer’s signature, the received wisdom is that a pattern will emerge. But what happens when either that pattern is non-existent or is so widely spread that it’s not easily seen? So those are the questions I asked when writing this book and my murderer developed in response to those questions. And yes, he did scare me. As I said this is likely to be the last Naomi for a little while because I’ve started a new series for Seven House. It’s rather different because it isn’t contemporary crime but is set between the two world wars and the events of the first book take place in June 1928. My new hero is a man called Henry Johnston and his Detective Chief Inspector. And there’s a lot of research involved. More of which next time. . . He left the ridge and followed the winding rabbit path down, climbed the low fence that separated the yard from the field and crossed towards the house. Looking up, she saw him then. She smiled, her eyes lighting with genuine pleasure and welcome, filling him with so much happiness that he could hardly bear it. Then, slowly, reluctantly, he raised the shotgun. He could see her clearly, even glimpse the strands of grey in her soft blond hair. Glass shattered. The woman fell. I have a new book out today, in the Rina Martin series. The lines, above, are from the first chapter. Books rarely take you where you expect they will, even when you think you have a basic plot figured out. Characters sometimes seem to have their own ideas about what they are going to do – or refuse to do! – and sometimes a little piece of research will strike a chord and send everything off in a new direction. The funny thing about this book is that is really sent me not in a new direction but in a very old one and back to memories of a writer I met right back at the start of my writing career, before I was published, before I really had any idea of my writing direction. When I first started writing, I belonged to a postal folio called SCRIBO. This was a collection of disparate writers who produced a chapter each and then posted round the group to get feedback…in the days before Internet and online forums! I still have friends made in SCRIBO and it was a fabulous way of getting opinions on my writing – I was far to shy about my work back then to have joined a face to face group! When I came to write Forgotten Voices the media was full of remembrances for both World Wars and as the Rina Martin books are set on the south coast, an area that is replete with souvenirs of WW2 in particular, it seemed right to try and integrate some of this interest into the book. And it also seemed like a good time to pick on some of the rather random conversations I had with Alan. Long ago we had talked about collaborating on a book set on the island of Crete and concerning one of his SOE associates. It was a place he badly wanted to revisit – and it was a story that neither of us had the skill to write at the time or the wherewithal to do the research. We had planned to call it Searching for Irlanthos and one day….maybe….it’s something I would love to be able to do. So, this book, as I said in the dedication, is a little something on account. Here’s to you, Alan. I’m happy to say that this latest book has been garnering some nice reviews and comments from readers and a couple of things have really stood out for me, in those comments. Ferryman wasn’t an easy book to write. One of the main plot arcs deals with the effects of domestic violence and the way in which the impact of that violence can ripple outward, affecting not only the next generation but also friends and associates. How do you deal with this kind of situation? How do you help? The isolation of those who suffer from domestic abuse – or any other kind of abuse, for that matter – seems to be the most difficult aspect. If you feel so alone and so helpless, how do you get the courage or the impetus to reach out. If someone is constantly telling you how useless and stupid and worthless you are then it takes a special kind of courage to escape that judgement and accept someone telling you a different story. I became very attached to some of the characters in Paying the Ferryman and I’m very happy that other people seem also to have attached themselves and to care. Maybe that concern will ripple outwards, even if that’s just in a small way. Words can be weapons – in a positive way too. The other issue is more of a technical one. Some one made the very thoughtful and accurate comment that my series lead, Naomi Blake, was more of an advisor or consultant in this book. And that’s true. Most of the time I write books that are part of a series but my ethos has always been that these books are often ensemble pieces with a group of characters who alternate the lead or sometimes hand that lead over to other people and act as a sort of anchor point around which the plot revolves. I want my characters to do that. I want to drop them into a situation and have them feel their way through. Looking at a narrative in this way keeps it fresh for me and I hope for the reader. So, what next? Well, it’s Rina Martin’s turn to be dropped into a book and so far she seems to be involved in narrative that’s producing more questions than it does solutions. The plotlines are still spinning outward and my characters are still feeling around for the light switch. Actually, at the moment I’m not even sure there is a light switch. I have my doubts about there even being electricity! But that’s a feeling I’ve some to recognize at this stage of a book and I am, slowly, learning that it isn’t a cause for panic! And I’ve been asked by a friend to compose a list of my favourite poems and as he went first, I guess I’m kind of obliged. So I think that might be the subject of the next blog. So, until then, happy reading and for all the writers out there, keep feeling for that light switch. 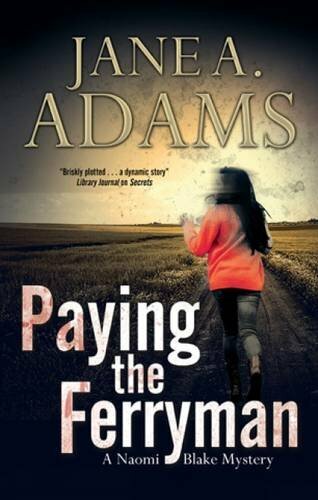 The second in the Naomi Blake, Touching the Dark, series is now out as an ebook – Endeavour Press- and coincides with the publication of the latest HB in the Naomi Blake series, Paying the Ferryman. (Severn House). The focus of the book is a woman called Tally Palmer. She’s a photographer who took the strange career leap from war zones to fashion. Tally is flawed and difficult – as are many interesting characters – and oddly uncomfortable to write. She was stubborn and demanding and I can’t help but think that she’s a fusion of several of the very powerful and ..um….difficult women I knew growing up. Several scenes in the book take place in her aunt’s garden – a thinly disguised version of my Aunt Kathleen and Uncle Jack’s garden. Tally’s memories of the adults gossiping in the sunshine and the sound of bees and scent of rabbits and lilies are very much the way I remember it. A magical place in a very lovely little village in Lincolnshire. The disused railway line and fields behind Tally’s house are based on those behind the house where I grew up. The old line that led through Glenfield Tunnel and on which, when I was very small, steam trains ran twice a day. Later, the fields were grubbed out and houses built and I still have the scars on my knees from coming of my bike on the unfinished road down the steep hill. And then there’s Talulah Two Heads…. Even as a child, I hated dolls. I went though a brief period of pretending to like them because that’s what little girls were expected to enjoy, but seriously…how could anyone really like playing with something that stared at you all the time. That passed judgement from the top of the toy shelf. I liked my dolls pram, but my mother was continuously embarrassed by the fact that I’d much rather wrap my blue tractor in a blanket and put that in my pram – or the cat; we had a very obliging cat that was quite happy to go to sleep anywhere warm and soft. I must have been about seven or eight when my aunt gave me Talulah. She was a ‘Fashion Doll’ – or at least that’s what is said on the box. And my aunt said she’d probably fit Cindy or Barbie clothes, but that she thought this doll was just a bit more unusual. The ‘unusual’ element was that she had two, interchangeable heads. One with long blond hair and one with a brunette bob. Two heads to stare in judgement. The child, Tally’s, decision to bury Talulah in the garden and her dilemma when the aunt came to visit was certainly an example of writing what I knew and I never did find the second head…. I still don’t like dolls. I wonder if there’s a dolls/ teddy bear divide in the same way people claim to be cat or dog people, but being a writer experiences like this are just grist to the mill and I don’t imagine Talula will be the last fragment of childhood memory to find its way into a book. And I’m grateful for the memories of the gardens, my Uncle Jacks and my father’s and all the wild spaces and Victorian seaside towns that have become part of my writing landscape. So, here’s to you, Uncle Jack and Aunt Kathleen and Binbrook and the wolds and fenlands and, of course, Talulah Two Heads. Even if she did come to an unfortunate end buried under my mother’s roses. In preparation for the publication of Paying the Ferryman – Severn House – I was asked to fill in an author questionnaire and a couple of the sections dealt with influential and treasured books. I’ve been asked many times which books or writers influenced me and it’s not an easy question to answer because there have been so many – and that process is an ongoing one. I love to read, I love stories, I’m hooked on the way different writers can take the same idea, the same scenario even very similar characters and create something which is unique and exciting and thought provoking – or is simply a really good trip. But anyway, I gave it my best shot and had a really hard think about which books have consistently influenced me. Which ones do I still recall and talk about and which still make me angry, bring tears, evoke memories? The list turned out to be a slightly odd one and the funny thing is, a lot of these books are from my childhood or teenage years. They still matter to me after all this time. That has to say something very special about the authors. So, below, is an extract from the author questionnaire complete with my – sometimes weird – choices. •	Cherished books. My very tatty Penguin copy of TS Elliot’s collected poems. The covers fell off years ago and have been restuck many times, but I acquired it secondhand when I was about fourteen and it’s been with me ever since. •	An odd little book called Clater’s Farrier. It’s appeared in at least one of my novels and the one I first knew belonged to my father. When he died my brother claimed it, so I had to find another copy. I finally managed to get one – all the way from Australia. I suppose it’s a kind of step relative to the original but the connection is still there. It’s a strange Victorian publication, a mix of advice on the treatment of horses and also advice and information on everything from how to make wine to how to cure cold feet. I’ve gone on to collect quite a lot of books in the same idiom. Following their advice, I could probably build a house, make a fretwork clock and brew honey beer. •	Books that have influenced me…Can I only have five! •	Most come from childhood or teenage years. I think the love of story was born then – it took a lot longer for me to want to write my own! Strangely, none of the really influential books is Crime, though I read a great deal of it and continue to do so, it was stories from the more fantastical genres on the whole, that first really appealed. The Forever War by Joe Haldeman. I read a lot of SF in my teens and this one made a big impact. It was the first time I’d really understood time dilation and one of the first really ‘adult’ books I’d read. I still use it with students to demonstrate ways that character and place can be built at the same time. Alan Garner’s Moonstone of Gomrath and Wierdstone of Brisingamen . There’s a scene when Susan is riding with the Wild Hunt and they slowly pull away from her and she’s left alone. It made me cry when I first read it and it still makes me cry now. I so wanted to be Susan! But I didn’t want to be left behind. Alan Garner came to talk at DMU last year, so I finally got to meet him – and managed to be totally inarticulate! Just about anything by Malcolm Saville. I read his ‘Seven White Gates when I was, maybe 8 years old and was hooked. Later, I especially loved his Marston Baines books – the mix of adventure and history really appealed – and got into real trouble at school for reading it under the desk when I was supposed to be listening to my English teacher. And, sadly, I still haven’t made it to Lindisfarne. The last is a short story. No, sorry, I have to have two short stories. Guy de Maupassant’s story Châli is the first. I read my way through his collected stories, again when I was about thirteen or fourteen, and loved them dearly because of the mix of intimate character development and social commentary. Chali sideswiped me, initially with the injustice of the conclusion and later with the strangely detached storytelling that somehow added to the emotional impact. The second is a long short story by Mary Gentle, The Road to Jerusalem, which I read in Interzone in about 1991. I’m still not sure what it was about the story that clicked, but I knew as soon as I’d read it that I really wanted to tell stories like that. It was an impulse that coalesced, I suppose over the next eighteen months or so and led to a determination to be published in Interzone too….though things didn’t quite turn out that way and that’s an ambition still to be fulfilled! I’m very happy about this as I’m quite fond of ‘Mourning’. It was a bit of a departure for me; up until that point I’d always written male leads and Naomi Blake was the first time I’m written a woman in the main role. I’m also happy about it because it reminds me of my dear, late agent, Bob Tanner at International Scripts. A man who could create an entire, nuanced vocabulary out of the words ‘really’. and ‘I see’ – the latter usually being an indicator that he thought I was talking rubbish and needed to go away and think about things again. People often ask authors where they get their ideas from and The Naomi Blake series was initially Bob’s idea. His reasoning was kind of sound; it was an unusual idea, hadn’t really be done in a while and – as far as I know- the last blind detective popular in the literature was Max Carrados, created by Ernest Bramah and whose skills at detection using his other senses was almost superhuman. Bob, being Bob just said he’d leave it with me, knowing that the idea would nag and that, in the end, I probably wouldn’t be able to resist. Of course, he was right, but the odd thing is that the eventual shape of both character and first book came from a completely different direction. I heard a snippet of an item on the news about a young couple who had just bought their first home and while some building work had been done a body had been found. Suddenly, their dream home had turned into a disaster zone. The floor taken up, the whole place turned into a crime scene. The remains were believed to have been there for a long time. And I knew I had a starting point. I had the picture in my head of a woman sitting beside an open window, listening to the news and knowing…just knowing who the dead person was. In the event, the plot veered off from that a little, but Naomi –and Napoleon – had finally appeared and I had the start of a story. So I’m glad to see the book available again – and in ebook form, which it hasn’t been before – so new readers can discover the start of the series and old readers may like to reprise the genesis of Naomi Blake. In a long ago and far away time, before the internet changed the world, I joined a writing folio called SCRIBO. Having been allocated a place in a portfolio, about eight of us submitted a chapter each, posted it on and received feedback from the rest of the group. Debate was lively, informative and sometimes a tad controversial! And I think for most of us it was the first time we’d either given or received an opinion of our work from our peers. SCRIBO had a number of portfolio groups and thought I don’t know what happened to most of the writers, our group did score quite a bit of success. I turned to a life of Crime, my friend Stuart Hill now writes YA fantasy (The Icemark Series), David Amerland write books on SEO, marketing and other techie subjects…… and then there’s Gary William Murning and he’s a bit harder to categorise. Gary writes slippery books. Just when you think you’ve figured out where he belongs, into what little box you might be able to post him, he changes direction and you’re lost again. I suppose, if I’m going to assign a label, I’d call him a Literary Writer, in part because of his style, but also because of the way he makes so free with property usually claimed by other genre. Now, let’s be clear. I hate the snobbery that surrounds this Literary/Other genre divide ( and it cuts both ways; writers of popular genre can be just as guilty). I don’t believe that so called ‘Literary’ writing rises above all other genre in that kind of aspirational way some critics would have us believe, but what I do find interesting is the freedom the Literary novelist has to borrow from all the rest, to use the tropes and memes and expectations of whatever genre they choose and throw them into the pot. This is pretty much what Gary does. Gary’s books are hard to categorise. His first, published by Legend was ‘If I Never’. It focuses on a dangerously dysfunctional relationship, which is both horrifying and involving to watch as it unfolds, develops and shifts. It is also darkly funny, multi layered and kind of epic in a weird way. Having achieved conventional publication he decided that he’d go it alone and founded GWM Publications. The response from publishers with his follow up book had been ‘love your book; have no idea what to do with it’ so in many ways this was a wise move. The next book was Children of the Resolution and was based loosely on Gary’s own experiences of disability, labelling and educational reforms – though that makes it sound dull, and it’s not. Uncomfortable at times, funny, outrageous and often very moving, it is a book that challenges us all to question what we really think and feel, not just about disability but also how and where any of us fit into the world. The Realm of the Hungry Ghosts is a hymn of praise to the horror genre – before it became schlocky. In my opinion there are influences of early Stephen King, it is possessed of that same cool, calm, detached tone that creeps into your unconsciousness – until you suddenly realise you are actually just a tad scared and would quite like to put the lights on…but that would mean leaving the safety of your chair and crossing the room. Ok, so I’m lying about the hovercraft, but that was the flavour of the conversations we were indulging in. Actually, what we did manage to produce reads well and I now don’t have the slightest idea who wrote what because the deal was, we wrote 300 odd words (often very odd words), the other person edited it and then carried on. – and we were not allowed to object to the editing. It was fun, but if we ever get back to it, I think we’ll need an external editor, armed with a Big Red Pen – and probably a whip and a chair to keep the pair of us in order. That wasn’t the only daft idea we had. Misguidedly, we once thought it would be a good idea to start a small press magazine…that resolution lasted for one issue, by which time we’d worked out just what hard work it was and how little time it left us for anything else. Our intention was to fill it with short stories, artwork, interviews, photographs and anything else that took our fancy. Ironically, I think it would be a much easier proposition now…but no, Gary, I’m not about to suggest it. The thing is, Lorna Lovelost really had her genesis back then. Gary wrote a short story, Broken Angel, about a woman falling, which we included in the magazine. It was sad and haunting and incomplete – not in a bad way, but because it left hints of untold stories and lost backstory. This now becomes an arc in the novel. It has evolved and developed and the missing elements are woven into the structure. And I’m glad of that. I hope Gary promotes the short story alongside the novel, because it is a part of its genesis and history and readers like to get the complete picture. 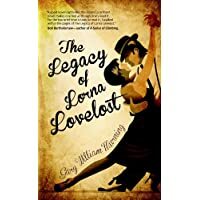 The Legacy of Lorna Lovelost is available from October 5th and I’m planning on interviewing Gary for this blog just before the release. In the meantime, go and check him out.